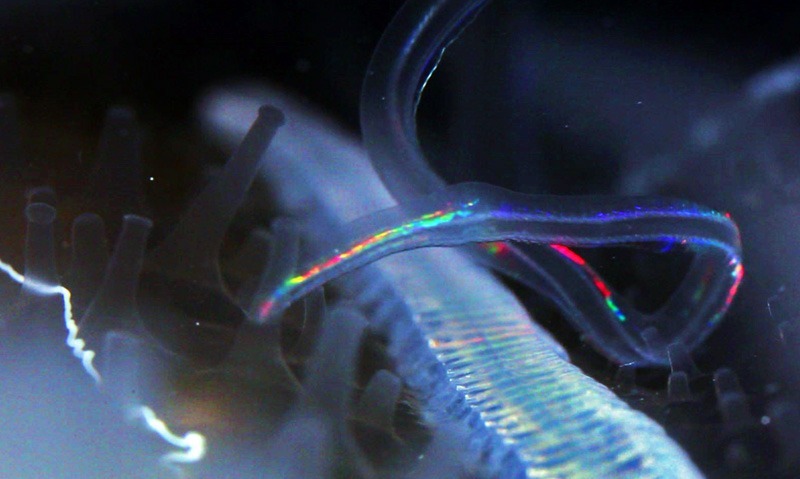 Shimmering waves of light, stalking their prey, ctenophores are on the move. 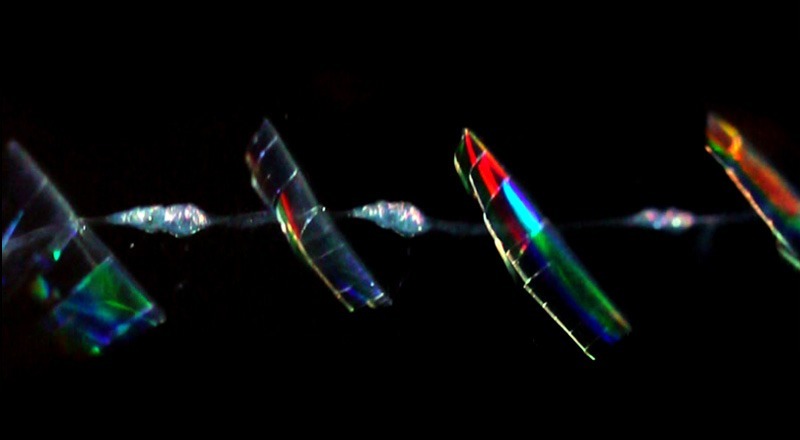 Some gelatinous animals look like luminous prisms spreading waves of color. 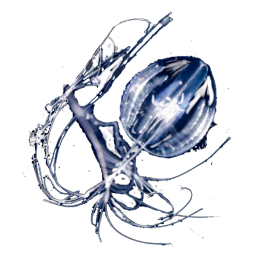 Though equipped with tentacles they are not jellyfish. 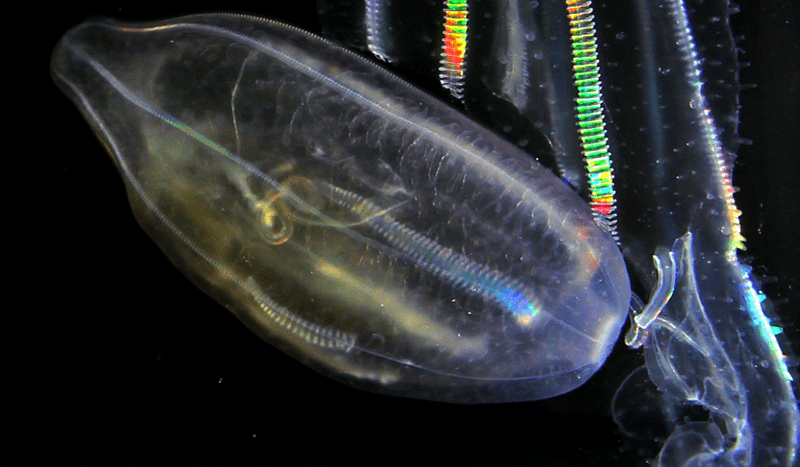 They are called comb jellies, or ctenophores, from the Greek words ktenos: for comb and phoros: to carry. 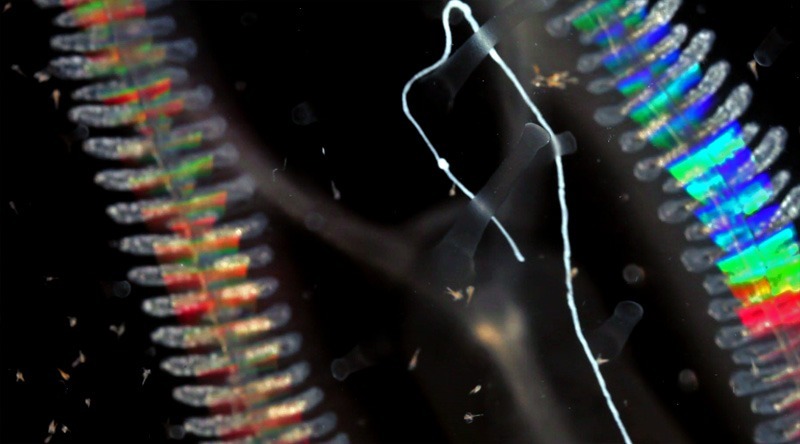 Ctenophores swim by the synchronous beating of 8 comb rows made of thousands of fused cilia. 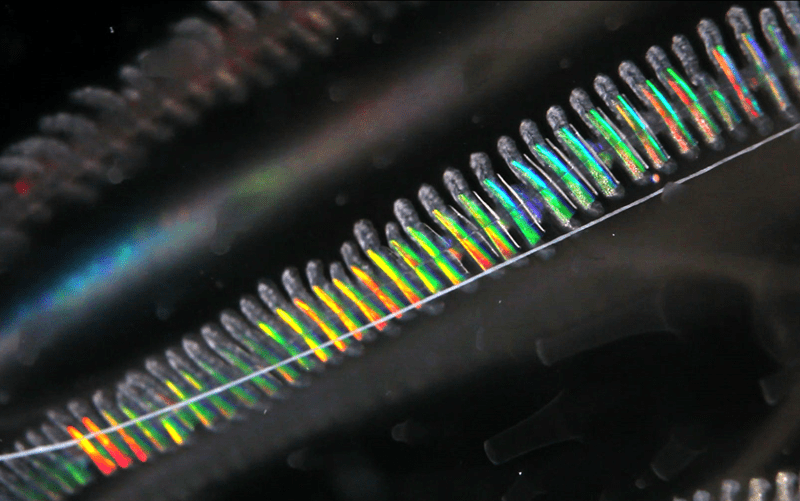 As they refract light, the beating combs create shimmering waves. 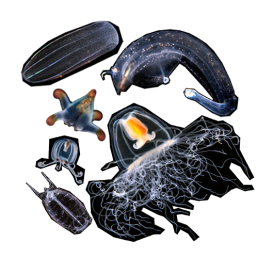 Unlike jellyfish, ctenophores do not have stinging cells. They won’t hurt you, but they are carnivorous. 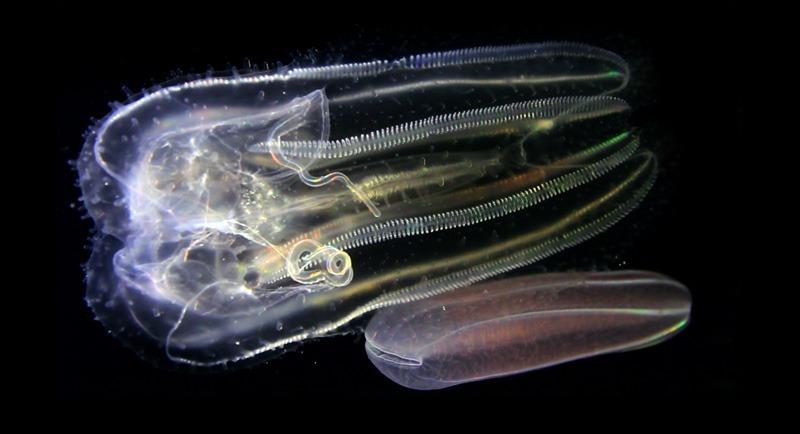 Some catch shrimp using tentacles covered with sticky cells called colloblasts. 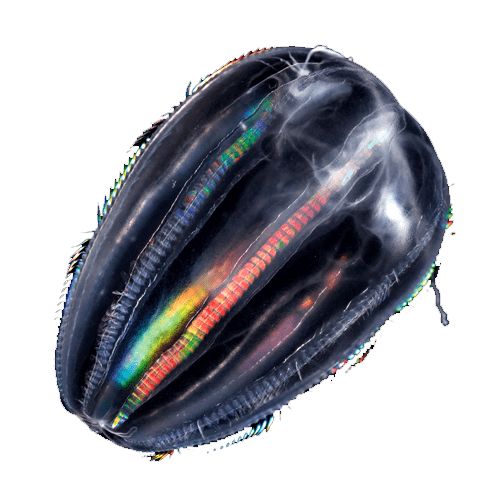 Other species can bite and swallow ctenophores much larger than themselves. 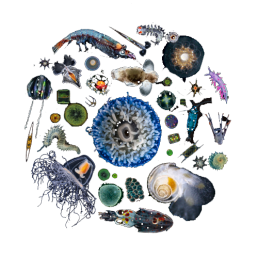 With all their colors they can’t be missed.